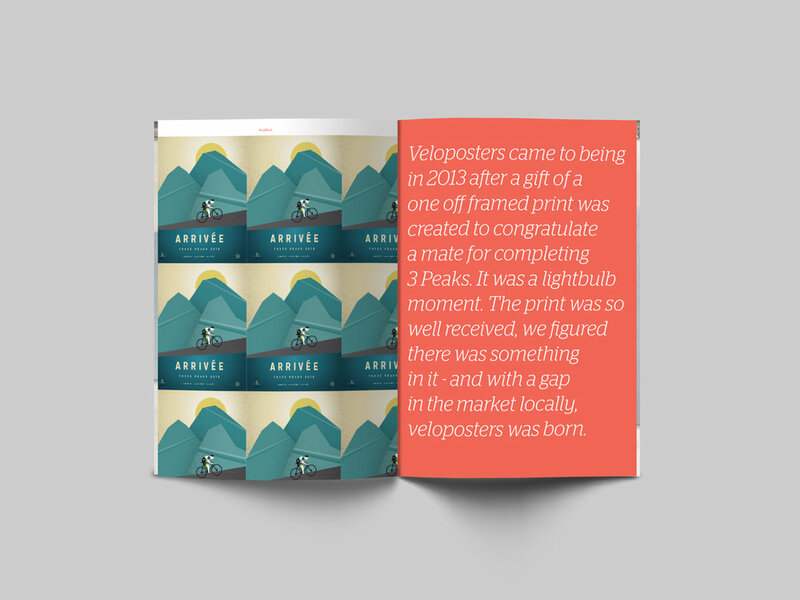 Veloposters specialise in creating limited edition, modern and distinct cycling themed posters that can be purchased as a series or individually. Giclee printed on archival stock, the prints are vibrant and the quality, well you can't beat it! Off the bat, this is another of our babies. Yes, we illustrate as well. Cycling is a passion down South, and the seed was planted after a gift of a print was given to a friend who'd completed in the 3 Peaks Challenge - google it. We had so much great feedback that we thought, let's start a business - Veloposters was born.